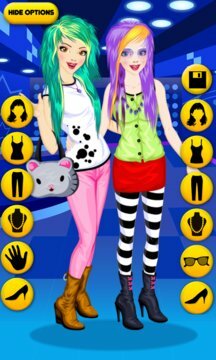 Dress up two emo girls in your definition of emo style. You can browse through the various choices of clothes and accessories and opt for the combination which you think best suits them. * You can save the final look in your photos or make it your girly wallpaper! 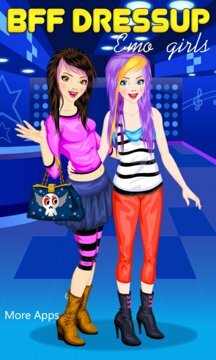 * You can create different looks for your friends and put them as display pics in their contact details on your Phone.